BPA-Free Silicone to Keep Your Child Safe in School! The time of the year has finally come. New sports bottle, backpacks, notebooks, pens, and lunch boxes to help ease our children and students into the new school year. Whether they are going to elementary school or college, they’re many dangers surrounding students we should be aware of. Studies show more than half of U.S students are not hydrated enough due to sports, outdoor activities, or not drinking enough water. Besides the many health issues that come with dehydration like headaches, poor physical performance, and more; it can also negatively impact memory, mental ability, and learning ability. Without enough water, students will not be able to perform both physically and mentally to succeed in this school year. Click here to read more. Students are able to fill up their bubi at any water fountain and maintain hydrated throughout the day. Our 22 oz is more than the daily required amount of water to stay healthy and hydrated. With this sports bottle, students can stay hydrated and focus on their school work. Students can feel the weight of the world on their shoulders- have you felt how heavy textbooks are nowadays? Many are unaware of the serious health issues heavy backpacks can cause on the back. Children are often carrying more than 4 pounds of lunch, books, and other school supplies on their back. Empty stainless steel or plastic bottles often weigh up to 8 ounces and can add on to that already heavy load on your child’s back. Avoid your child walking around with a turtle shell because an empty bubi bottle only weighs about 4 ounces- that’s HALF of other types of bottles. We offer 3 different size bottles (14 oz, 22 oz, and 35 oz) that all roll up and can easily be stored in any backpack or lunchbox. This sports bottle also includes a carabiner to easily attach to a backpack or bag. Avoid getting sick during the school year- unnecessary skipped days and lots of fluids. A sports bottle used by school students repeatedly without being cleaned can contain a very high amount of bacteria in their drinking water. Steel bottles are difficult to clean properly by hand or dishwasher (if they’re even dishwasher safe). If you stray away from those types of bottles, plastic bottles are a no-go as well, with some containing toxins like BPA and other chemicals. Bubi Bottle is a BPA-Free sports bottle and contain no harmful chemicals making it safe for your kiddos. Besides that, they are also dishwasher-safe even on the bottom rack. Like to wash things by hand? You can flip bubi inside out to get a real good scrubbing on the inside. Don’t laugh. In stainless steel or plastic bottles are tongue traps for small children, who often get their little tongues stuck inside the mouths. A sports bottle can often vacuum up tongues and cause swelling or get stuck. Bubi Bottles are made of soft silicone. Scrunch it, crunch it, or squish it- no trapped tongues here. 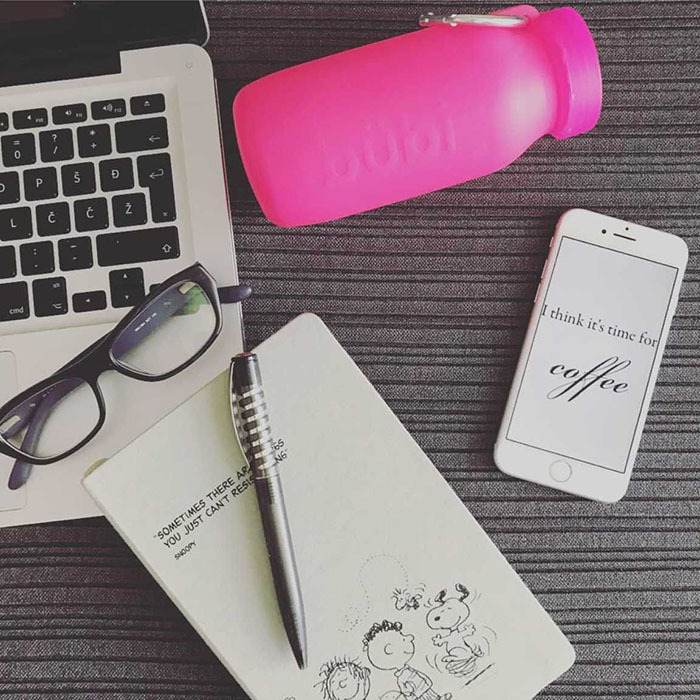 Be sure to purchase your bubi bottle before the end of summer! So many colors and sizes available making it perfect sports bottle for any high schooler or college bounders! Happy back-to-school. May the odds be ever in your favor.